Description Adventure Mitch and Survival Charley is the ultimate duo in this side scrolling platformer. 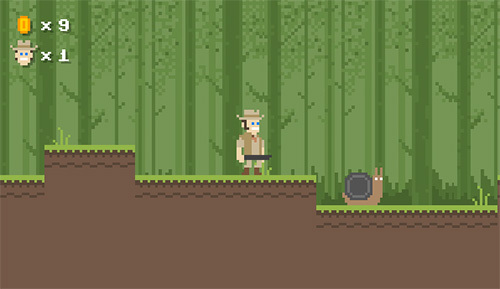 A heavily pixelled game with a retro soundtrack. Controls Use the arrow keys to walk and jump, space bar to attack enemies. Run through the levels, collect coins and find your dog.